NJEA Secretary-Treasurer Steve Beatty (second from left) and NJEA staffer Mike Rollins (center), along with representatives from Sustainable Jersey for Schools, present Toms River High School North with a grant for $10,000 to fund their project, Setting the Stage for Outdoor Learning. 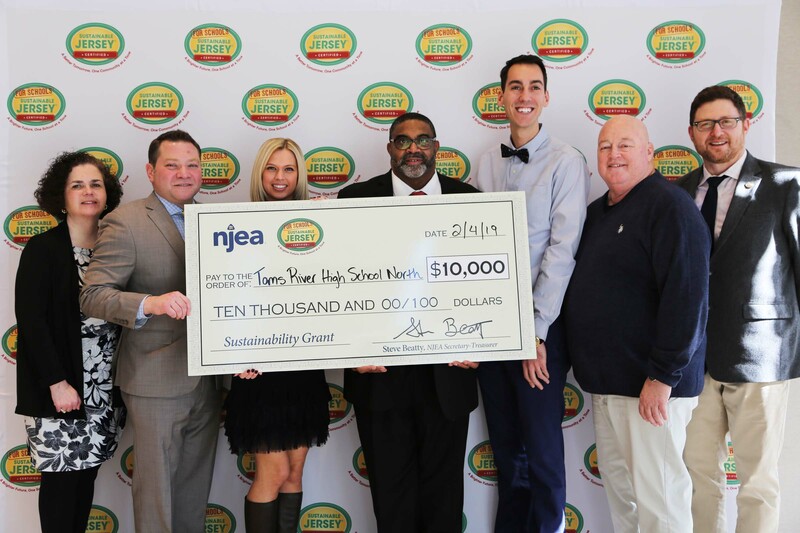 At an awards ceremony held on Feb. 4, Sustainable Jersey for Schools announced the 47 New Jersey schools and school districts selected to receive Sustainable Jersey for Schools small grants funded by the New Jersey Education Association (NJEA). Eleven $10,000 grants and 36 $2,000 grants were distributed to fund a variety of projects including vertical aeroponic tower gardens, student green team capacity building, outdoor classrooms, innovative recycling efforts and more. NJEA is proud to head into its fifth year partnering with Sustainable Jersey on the Sustainable Jersey for Schools initiative—also known as SJ4S. 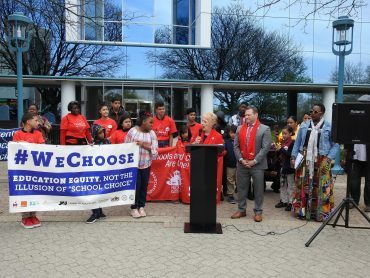 With this contribution NJEA has provided a total of one million dollars thus far to support a sustainable future for children across the state through the Sustainable Jersey for Schools program. 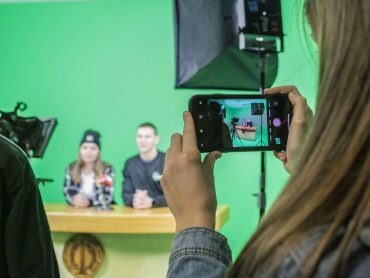 “Every day in the news we hear more and more about the importance of recycling and creating eco-friendly products, as well as the value of using sustainable resources,” said NJEA Vice President Sean M. Spiller. “Our job as educators is to prepare the next generation with the skills, information, and resources to become engaged citizens and leaders in our efforts to save and protect our planet. 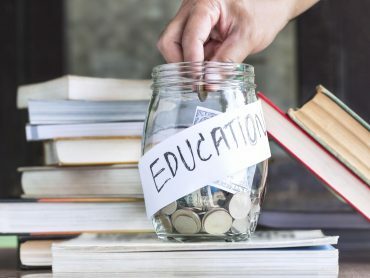 NJEA is honored to continue to work with Sustainable Jersey on this important program that directs resources into our schools.” In addition to the grant funding, NJEA supports Sustainable Jersey for Schools as a program underwriter. To learn more about Sustainable Jersey for Schools and future grant opportunities, visit www.SustainableJerseySchools.com.